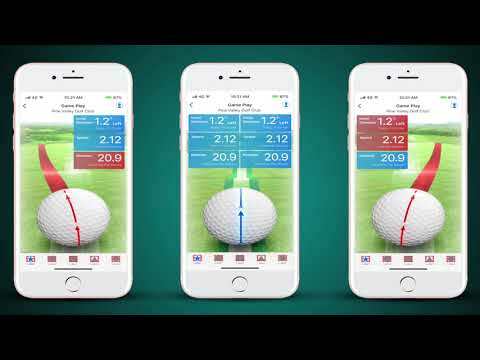 High tech has come a long way in helping golfers hone their skills. Everything from GPS watches to tiny sensors placed on gloves or clubs are offering unprecedented insights into the game. What we have not seen so far is an intelligent golf ball. Until now. But lets face it. It was bound to come sooner or later. An outfit named Coach Labs has turned to Kickstarter earlier this month to fund development and launch of Gen i1. This regulation size and feel golf ball houses a 9-axis embedded sensor, an on-board MCU and Bluetooth radio. To make the product even more effective, there is also a sensor that attaches to your putter. The combination of the two allows you to see the “cause and effect” of your stroke and ball. The Gen i1 ball shows the exact rotation, spin, impact force, speed and initial direction that you can’t see with the naked eye. The sensor on the putter keeps tabs on your back stroke, forward stroke, tempo and club face angle. By seeing all these important metrics, you can make corrections to your putting technique which will hopefully lower your score. “Did you know that on average, amateurs miss up to six putts inside six feet per round,” its inventor Jason Koo said in a statement. All this comes of course with a smartphone app. Once registered, the software will assess your skill level and come up with training drills customized to your level of play. To make everything even more fun, the app provides you with virtual games that improve distance control, squaring up and accuracy. You can even try out simulations of your favorite golf courses, all from the comfort of your living room or office. The intelligent ball starts at $99, so make sure you don’t lose it. Just in case that does happen, GEN i1 comes in a 2-ball pack, along with charging base and cables. But keep in mind, this is meant for improving your putting and taking your short-game to the next level. The company is working separately on a full swing ball which will have a harder, more durable cover. With 11 days to go Coach Labs is very close to meeting their campaign goal. Delivery is set for the end of the year.